You can now create team libraries and notebooks right from Notejoy's iOS app. Create team library - You'll find the Add Library option in the sidebar at the bottom of your list of libraries. You'll have options to enable domain sharing, add it to your organization, and to invite team members to it. 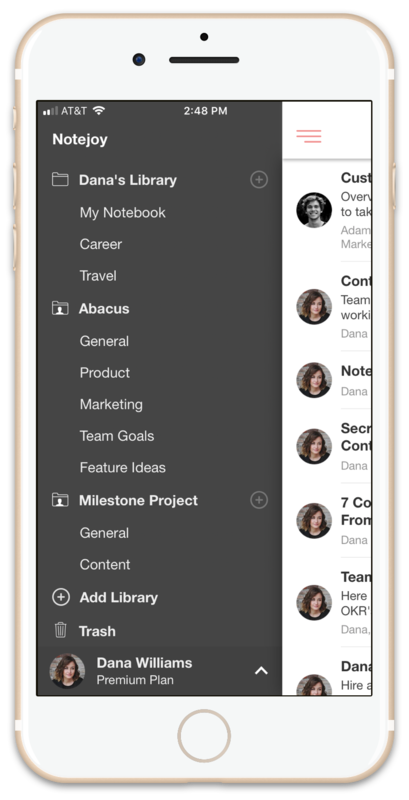 Create notebook - You'll see a plus icon in the sidebar next to each team library that allows you to add a notebook to it. Get Notejoy v1.3 from the iOS App Store today!